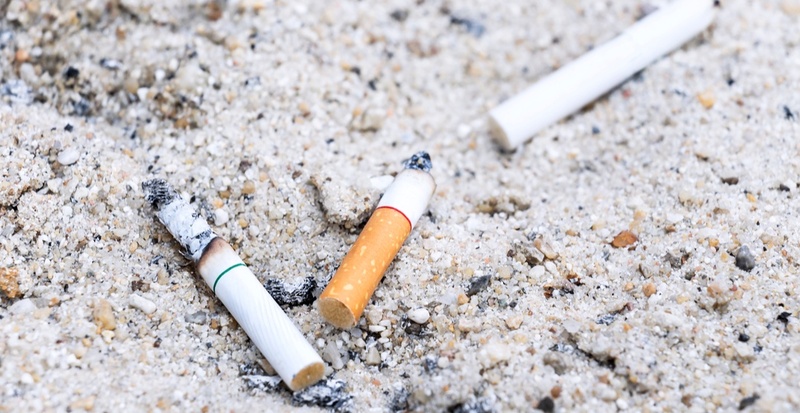 Cigarettes and their filters “dominate litter collected from BC coastlines”, says a recent study from the University of British Columbia (UBC). The study includes four years worth of data, ranging from 2013 to 2016. UBC researchers analyzed data from 1,226 voluntary cleanups that were conducted by the Great Canadian Shoreline Cleanup (GCSC) – a conservation initiative of the Vancouver Aquarium and WWF-Canada. Part of the study included grouping waste items by their source, sorting trash into groups such as smoking, recreation, fishing, dumping, and hygiene products. The litter was then sorted by region, starting from the North Coast of BC going all the way down to the southern Strait of Georgia. To compare different geographic landscapes, in areas like Haida Gwaii and Prince Rupert, the majority of litter includes “more recreational items like large plastic bottles or plastic bags,” says Fladmark. The team of researches want these findings to help guide waste management strategies across the province and believe that “more needs to be done to actually reduce the amount of litter that ends up in the water,” says Konecny.